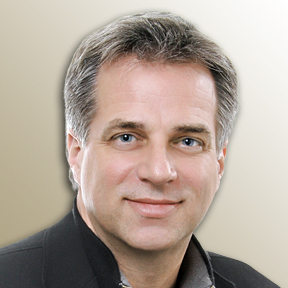 Mark Dziersk, FIDSA is the managing director for Lunar Design's Chicago office. Lunar is one of the world’s top design firms with five offices in three countries, specializing in the design and engineering of products and services, along with the UX and branding strategies. A widely known design thinking and management consultant, his expertise includes innovation strategy, branding, industrial design, packaging and public speaking on the topics of design, sustainability, and creativity Previously, he was the senior vice president of industrial design at both Brandimage – DesGrippes & Laga and Herbst Lazar Bell Inc., two of the nation’s top design and innovation consultancies. Dziersk has received numerous awards for design excellence including a Gold IDEA award for instrumentation and concept explorations, several Silver and Bronze IDEAs and "Best of Category" and "Design Distinction" awards from ID magazine's Annual Design Review. He holds over 100 US product design and engineering patents and his writing have been featured in Innovation, ID magazine, Time magazine and The Wall Street Journal. He holds a bachelor’s in fine arts in industrial design from the University of Michigan. "The methods companies employ in developing products are in many ways even more important than the executions. Future design-thinking that excludes longevity as a priority is flawed. Non-sustainable, ephemeral business successes will fade. Designers can increase their impact and influence by creating not just timeless designs, but also the systems and models that allow the repeat of multiple new products, developed in responsible and efficient ways. Management should listen closely to designers who lead in this area." Excerpted from Why Design Still Has Such Limited Corporate Impact—and What to Do About It. For more on what Mark thinks about beauty, read this fastcodesign article. Mark Dziersk was born in Detroit, MI, and graduated from the University of Michigan in 1981 with a bachelor of fine arts degree in industrial design. He has held teaching positions as adjunct professor at the Rhode Island School of Design in Providence, RI and the New England School of Art & Design in Boston, MA. Serving the industry in multiple capacities, he has been involved in the Industrial Designers Society of America (IDSA) for nearly two decades, including positions such as National Design Management Committee Chairman, National Conference Chairman, National Secretary Treasurer, Executive Vice President, President National IDSA and Board Chairman. He has also served the Association of Professional Design Firms (APDF) in various council and board positions.